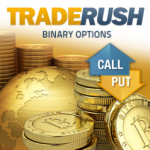 Binary options broker, TradeRush, has announced the launch of bitcoin binary option contracts for trading. The Cyprus broker uses technology from SpotOption, and becomes the second largest binary firm to offer bitcoin trading, with AnyOption being the biggest. In our Q1 Forex Industry Report, TradeRush was listed in the top five of binary options brokers as calculated by monthly deposits. In the past we have written that with current bitcoin pricing feed quality being below typical market data standards of FX and exchange traded securities, binary options appeared to be the safest option for providing trading in the product, as latency is less of an issue. In addition, binary brokers can utilize longer duration contracts to reduce arbitrage scenarios. With TradeRush launching bitcoin trading, we assume that SpotOption is making the product available to their larger white label customer base. Therefore, it is expected that we will soon be seeing many more binary options brokers begin to offer bitcoin trading in the near future.